"Well, July is going to be a busy month for me. 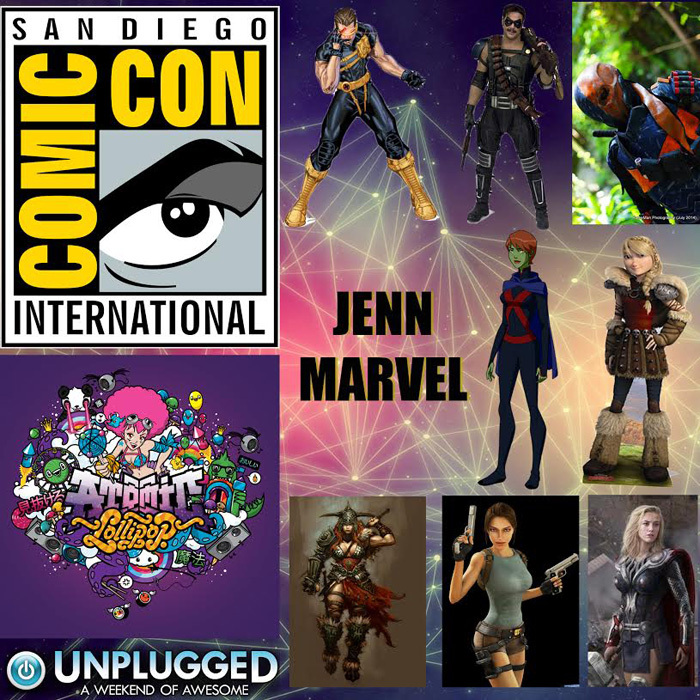 I have back to back conventions for almost the entire month.� Starting out with San Diego Comic Con July 8-12th I'll be attending the convention, cosplaying it for the first time as last year I just went for fun. And I'll also be attending an NBCUniversal Cocktail event through my work (super excited).� When I get back I'll be attending as a guest of honor at Atomic Lollipop July 17-19th. Atomic is my favorite convention of the year it's so much fun. ��After that I am taking a break I was planning on attending Con Bravo but I think I'll need a weekend to relax.� After that I'll be a guest at Unplugged Expo July 31-August 2nd, there I'll be hosting the lip sync battle with gellow GG Shelle Chii.� The cosplays I am working on for these events are, a new Cyclops, Lara Croft, female Thor, the Comedian, a barbarian and Astrid, and I'll be also bringing Deathstroke and Miss Martian along too." "Hi There Sugahs! My biggest news this month, I am excited to report that I will be a cosplay guest of honour at Atomic Lollipop! Not only will I have my table but I will also be hosting a body paint panel on Friday and doing a live body paint with ArtistiCurves on Saturday! Additionally I'll also be one of the masquerade judges, so I can't wait to see all your lovely cosplays. I won't only be rocking body paint, I also have a couple new characters that I am planning to debut at APOP, one of which is perfectly timed considering E3's announcement regarding Final Fantasy. That's your only hint for now. ;) For more cosplay and shoot updates check out my Facebook with new content every day! I can't wait to see y'all at the APOPalypse! �~GG Northern Belle Rogue"
"Hey! It's Leen Isabel here. July is going to be a BUSY month! 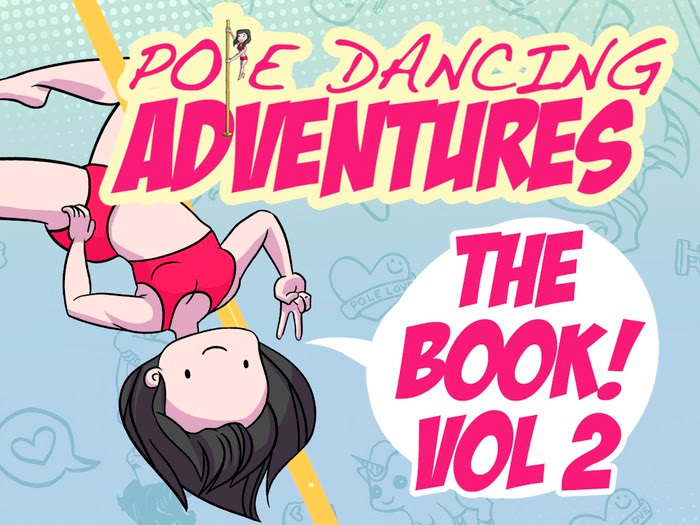 My webcomic's 2nd book, Pole Dancing Adventures Volume 2 will be going live on Kickstarter during July. We had such a fantastic run last year that I hope you'll join me again this month in making Volume 2 another success. I enjoyed bringing the first book to fans all around the world and I hope you're excited to add #2 to your collection. Interested in picking up Volume One now? Visit the official Pole Dancing Adventures shop! Pledge for Book 2 on Kickstarter starting in July! I will also be attending San Diego Comic-Con International with comic book writer/artist Nguyen Dong. Look for Dark Productions at this year at Small Press P-11!" "This �month, I managed to do quite a bit of cosplay stuff and there's lots more in the works! Went to the beach and did an amazing day of shoots, Mera being one of them! Also very nearly finished Leliana from Dragon Age Inquisition and went for a cabin trip the other day with some amazing people! This week I'll be starting five more costumes as well so here's hoping I can get them finished!" "July is a busy month for all of us!! So far I have already been to two events, and the month isn�t even half over! I have attended two cosplay picnics already and had a blast cosplaying in some bikini costumes. I updated my Pool Party Sona for some really nice shots, adding in some lights and fixing it up from anime north. I will not be attending Atomic Lollipop as I cannot afford it, but I will be at Conbravo and Unplugged Expo later on in the month! 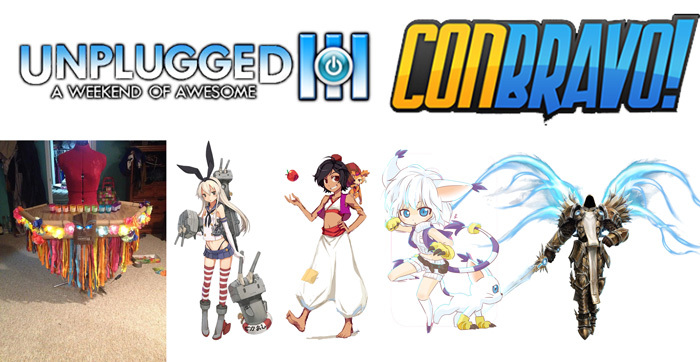 I will be working on a couple of new cosplays for these cons and updating an old favorite =D I will be wearing my female Aladdin that I have already completed to ConBravo, and will also hopefully be working on Shimakaze and Gatomon for that as well. For Unplugged the big project for me would be fixing up my Tyrael cosplay. I will be adding in the light up wings as well as updating the fabric parts and maybe some of the armor pieces. I will also be hosting the Lip Sync Battles at Unplugged with Jenn Marvel, and am so stoked to be hosting and performing in it! It�s been a constant ongoing project to even keep up with everything that is going on in July. Hope you all enjoy the content coming your way from all these awesome cons/meetings!" 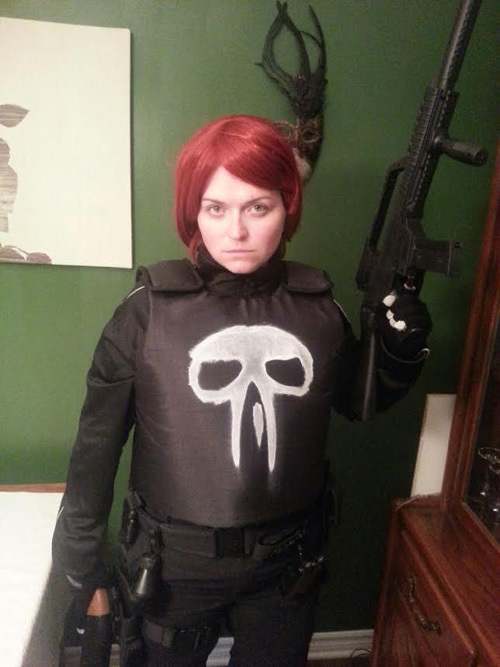 "So July is pretty busy for me, I commissioned my Rachel Cole-Alves Punisher flak vest from Ottawa Knight's Cosplay for Montreal Comiccon. Some of my coverage for MCC is already up and I got an interview with Darwyn Cooke. I am quite excited for TFcon�July 18-19�as Peter Cullen aka Optimus Prime will be there. See you on the other side of July!"